Incorporate your unique brand using any office theme, fully-equipped with an unlimited number of agent pages. Each theme is designed to embrace your brand, inspiring an atmosphere that your agents can be proud of. Villa is a sophisticated theme built for real estate professionals with a focus on brand recognition and social media presence. With each page designed for online sharing, it's a compelling way to enhance your brand online. Mint is a cutting-edge design that makes for an engaging user experience. Mint’s biggest strength is its homepage, comprised of useful real estate tools designed to convert visitors into leads. The animated pin is perhaps the most comedically effective feature we've built, prompting visitors to click just seconds from entering the site. The Mint (Video) engages your website visitors in a mesmerizing, and fascinating way by visualizing your office's success story through enchanting video loops, galleries, sliders, and dynamic content. It's a crowd-pleaser that's sure to impress visitors! No problem! We offer a semi-custom option where we renovate one of our office themes to meet your unique branding and design needs. This lets you take advantage of the lead magnetizing layout and tools from any of our existing website themes, while incorporating your own added personal touch. Contact us today for a free quote! Simple and elegant in design, this model is perfect for brokerages with a focus on recruitment opportunities. Agents interested in joining this modern, top-class brokerage can easily do so by submitting a simple form accessible from every page of the website. Applying online for a loan has never been easier. With Nationwide's mortgage real estate website, requesting for a loan approval is as easy as filling out a couple of drop-down fields! This theme is minimal in content, but offers maximum assistance with mortgage-specific tools and widgets. Andrew Cimerman HomeLife Founder and CEO - HomeLife Realty Services Inc. It is with great pleasure that I announce HomeLife Corporate has officially appointed InCom as our Corporate Website Service Provider. Our Corporate experience with InCom has been first class. InCom has not only built our Corporate Website, but also earned our trust and confidence. We are more than satisfied with their superior product, competitive pricing, and helpful customer service. 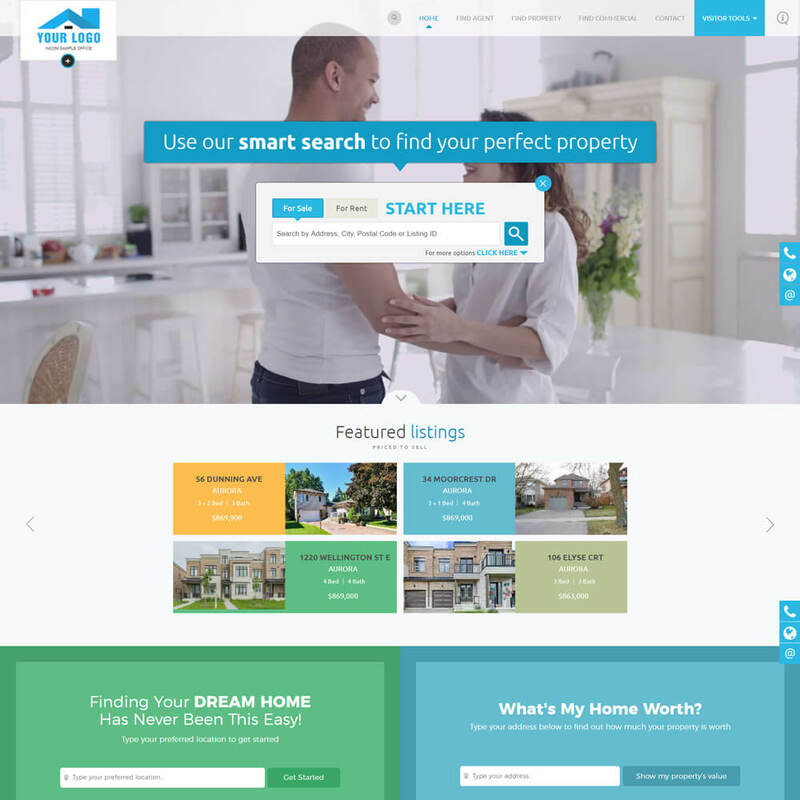 Our new HomeLife Response website that was structured and launched by your firm is providing outstanding performance and results for our office, agents and customers! 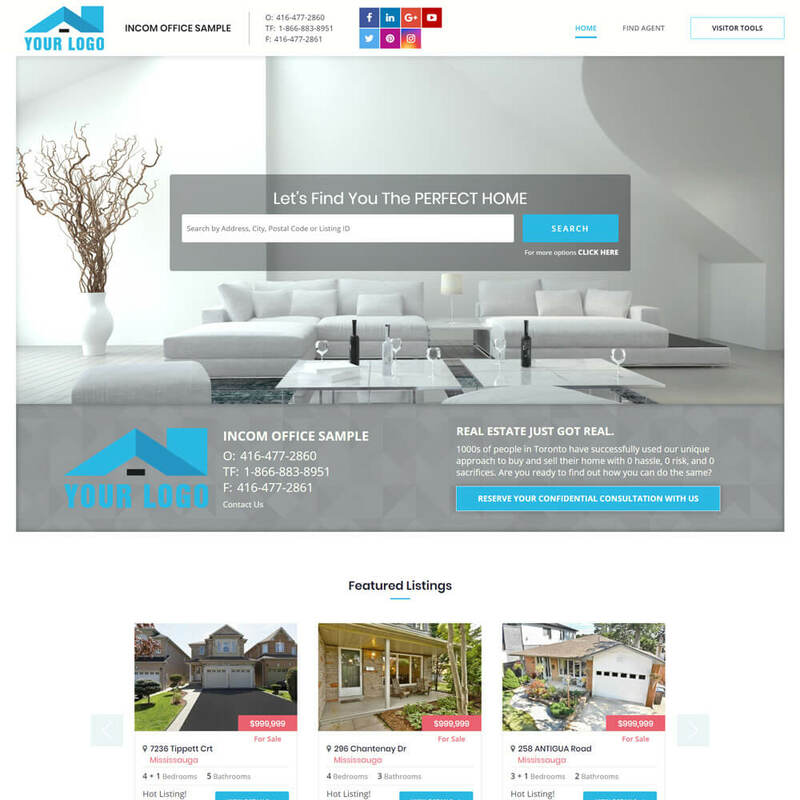 We promote your quality website development and e-marketing services to our 175 real estate agents, as we know that your lead generating websites bring proven results! We put our trust in InCom and we have not been let down. InCom's team is extremely responsive, customer focused, and easy to do business with. Our company website is professional and is easy to use and their staff is very responsive when we have questions. They are continually updating their technology and enhancing their products. The landing pages have been a GREAT lead generating tool! And our site looks amazing!! As Owner and Broker of Record for HomeLife Capital Realty in Ottawa I strongly recommend that my agents use an InCom website. We have the Brokerage version of the InCom site and the quality, service and support is amazing. I also do not have to worry about compliance issues as well which is peace of mind as an owner knowing that my agents’ sites are in compliance. 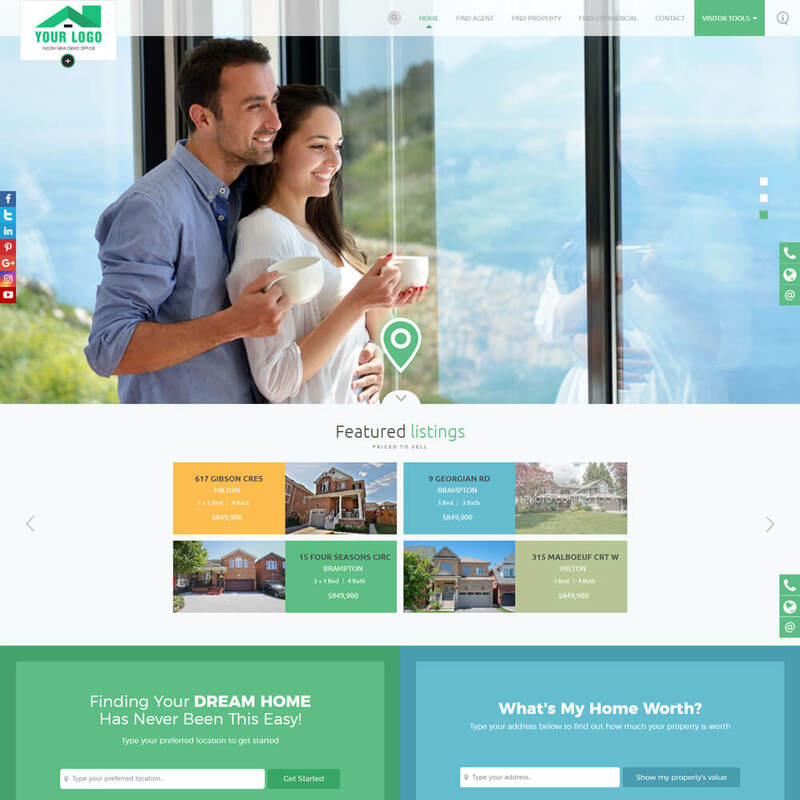 Lisa Gerdes Vice President - Realty World, Inc.
InCom grasped our needs and produced a versatile and modern website design. When assistance or feedback is needed, new versions become available or any modifications are necessary, the staff at InCom is always prompt to assist. We really appreciated InCom's flexibility and efficiency. It's great to work with a company and with a team so open-minded and responsive. Thank you!